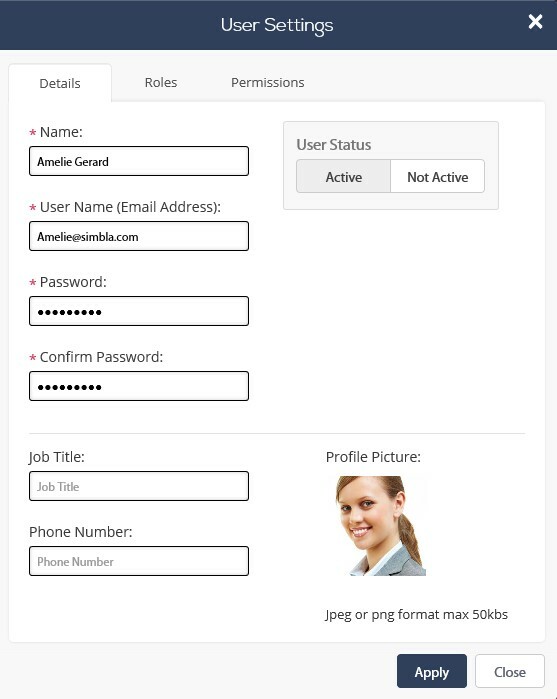 With Simbla’s online database you will be able to comfortably manage, create and edit your users. 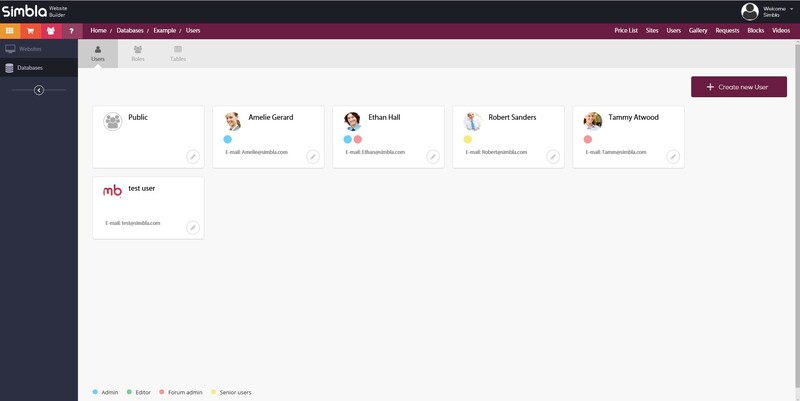 Another important feature is the ability to set individual and group permissions. After a user registers your site, his information will automatically enter the “_user” table. 1. User details - edit your users basic information. 2. Roles - set the user&apos;s role from your list of roles. 3. 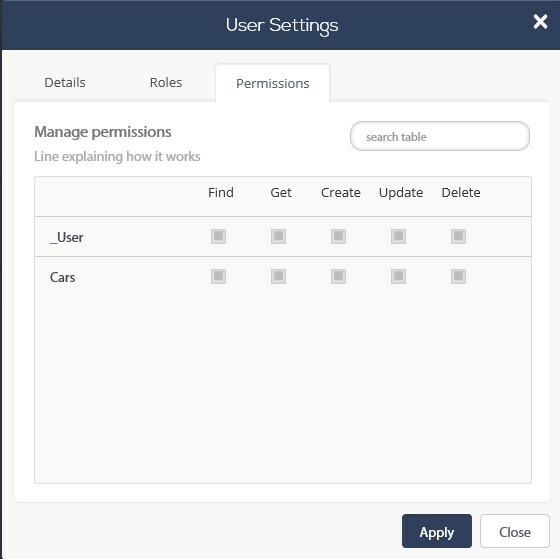 Permissions - set the user&apos;s individual permissions. 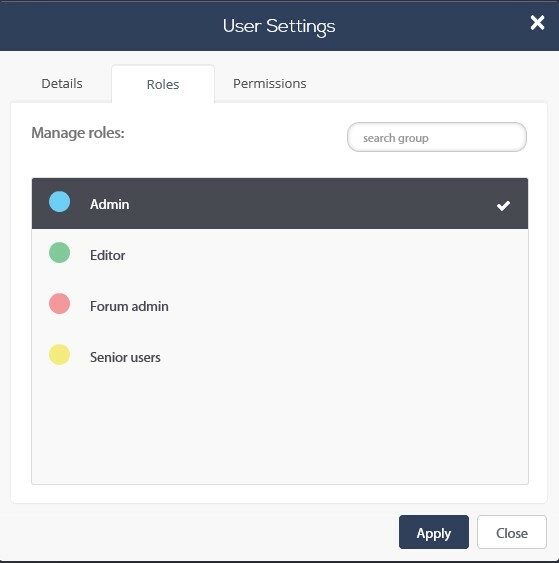 As in our example,once a user is given a role, the individual user&apos;s permissions will be updated automatically by the permissions set by the role and won&apos;t be editable through the user’s profile. You will notice that one of your tables has been automatically generated, the “_user” table. 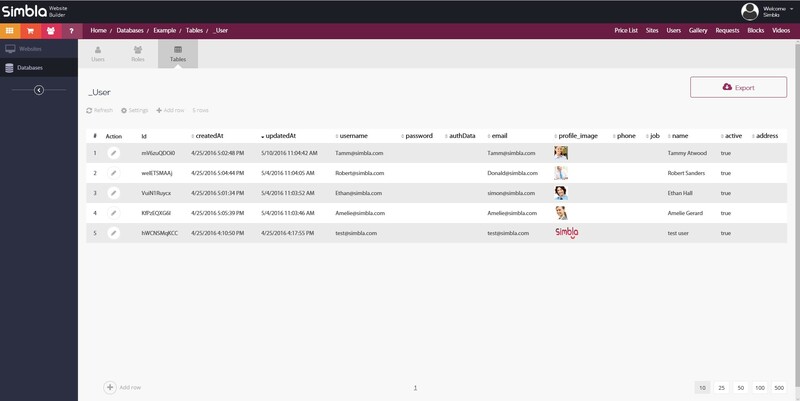 While the user tab is the place you will manage your users, the user table is for adding extra columns and collecting extra information from your users. Another important role of the table is that it allows you to export all the information. It&apos;s recommended to backup your table from now and then.